Far and away the most requested of all the compilations I've let loose is the African Serenades series, co-ordinated by myself and Grumpy. 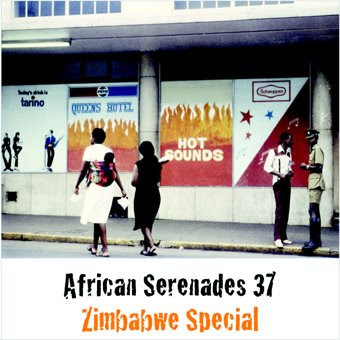 In the spirit of the ZImbabwe focus here is volume 37 which takes the best tunes from the four Harare Hits volumes I've just posted. Once upon a time I had a website that had all the African Serenades artwork and tracklistings but alas it has gone. So please if you have any requests for specific volumes on the African Serenades series please let me know. MORE SOUTH AFRICAN JAZZ THIS WEEKEND!